Sub-rational materials: Tonal synaesthesia: Symphonic geometry and Cymatic Cruciform memory: The indelible world of synchro-musicology and the sorcerer science of Audiomancy. Music is a language system and the geometry of that language can be seen as void, or more accurately voids within form, like a Chinese puzzle box. It is sentient in as far as it emotes and has the ability to transfer that emotion on to the listener- be they animal, mineral or vegetable. 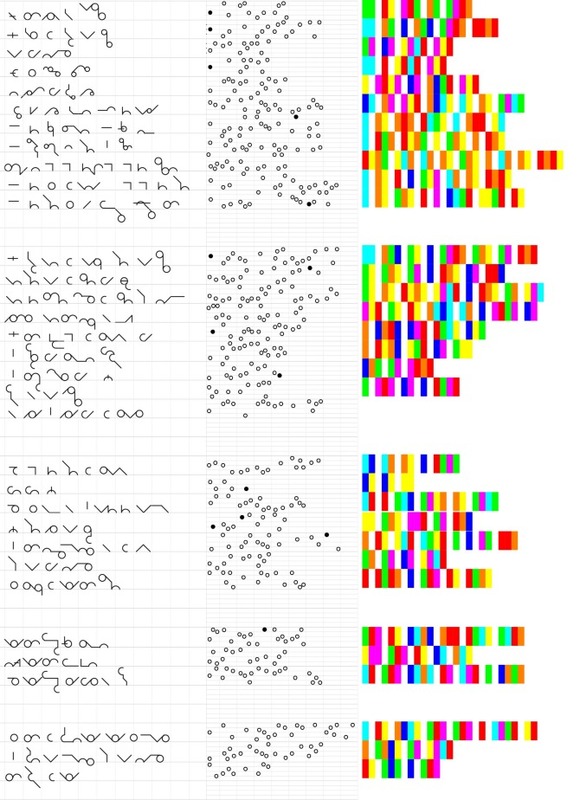 SolReSol is an artificial language that transfers signs into music, taps, colours and sign language. An experiment in syntax of archetypal visual and acoustic signs, creating an extensive variety of communication forms based on music. In this way words can acquire colour, sound and gesture. The silences between notes is the vehicle upon which the synaptic message travels, and intrinsically affect the way a piece is heard. Pregnant with the soul of the manuscript , it is the weight behind the note and through the power of focused intention this homily of the ether is cast into being. Hindu mythology describes sound as vibration from which all shape and form are made manifest in the material world. A few modern representations of this can be found in the study of Cymatics, chronotropic laser scrying, and acoustic weaponry. Thus, sound generates form and profoundly affects geometric matter. The Discipline of Audiomancy requires an investigation into the structure of holographic sound, the mechanics of western tonality, and conditioned responses to particular musical signatures. It is a study in correspondences in as much as it is a study of emotive signatures. It expands into an inquiry into 12 tone equal temperament, or the mechanics of the ether and its ability to manipulate the material world. Via the pineal gland, lucid dreaming, vision states and states of ecstasy are within every individual’s capability. Dolphins are able to see with sound, as do bats who have evolved an ability to translate dimensional information from sonar. Much like we see through solid objects with ultrasound. This is why Whales sing. This technique has been used to map the ocean floor from a satellites in earth orbit, spy on a fetus through the walls of a mother’s womb, and peer into the dark recesses of hidden chambers buried under the earth, and it is all just a matter of tuning into the right frequency. The ancient Egyptians in their texts tell us that they believed F# to be the tonal frequency of our planet. The King’s chamber inside the pyramid of Khufu resonates at exactly 16 hrz which is below the frequency of human hearing. When combined with its pentagramic chamber rooms a distinctive pattern of frequencies start to emerge. This pattern is identical to the tonal structure of the f# cord. The Egyptians believed this to be the heartbeat of the world. It was these Egyptian Priests who first introduced Greek music to Pythagoras during his studies in Memphis and Phoenicia. Belonging to the hermetic Philosophers of Osiris, Horus and Isis, Pythagoras’ harmonic theory can trace its origin back to the Orphic Lyre or scale of Orpheus which tradition tells us was passed down through Apollo the God of light. These Greek modes have been carried over to the western musical tradition and are evident in all genres of western music. It is commonly referred to as the 12 tone system and is derived from the tetractus or theory of harmonic ratios. connected the zodiac and the color wheel, to 12 letters of the Hebrew alphabet. The twelve tones are arranged clockwise ascending chromatically and are each tied to a primary, secondary or tertiary colour. When pitch is introduced this circle extends to a cylindrical spiral. Through the sounding of particular chords platonic solids are formed . For example, scarlet is associated with the first note of the apex of the circle, that note is C and its complimentary tone is F# which we now understand to be the resonant frequency inside the sarcophagus of the King’s chamber at the pyramids of Giza. The cymatic shape of an octagon is strongly correlated to the re-occuring geometry found in the pyramids of Giza and the World Trade Center in America before its collapse. 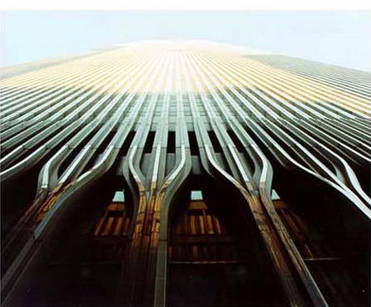 the exterior of the towers were embellished with symbolic tuning forks creating a wave or intonation that reverberated across the ether. 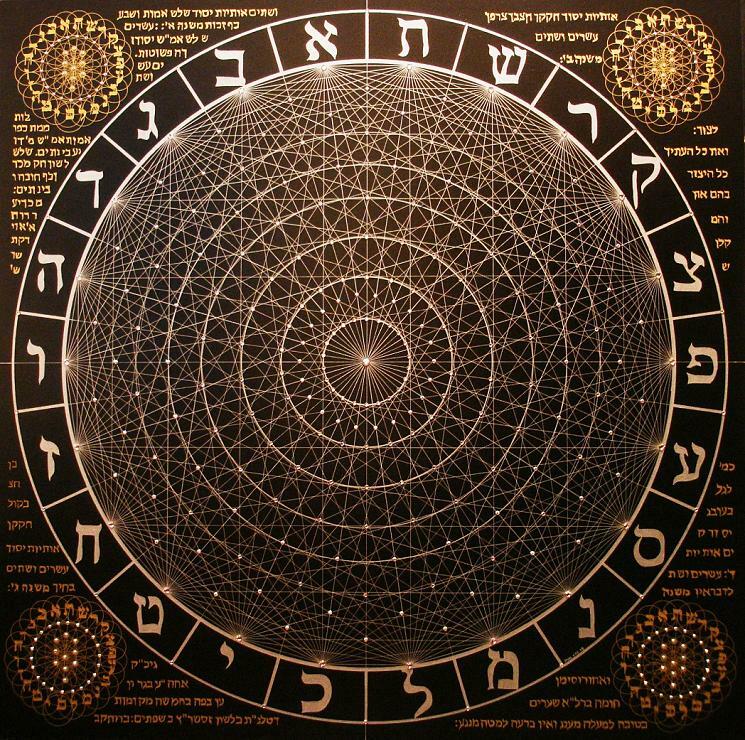 As each of the 22 cards of the Tarot and the 22 letters of the Hebrew alphabet are applied to the devise of the Sepher Yetzirah, it becomes the most elusive and profound of the Qabbalistic texts. It is the mystical representation of the cube and 3 dimensional space, to Plato this basic shape represented the element of Earth, to an initiated Mason it is the penultimate soul, polished and shaped by constant spiritual work. juxtaposed, in the pictographic language of alchemy the cube is the body and the sphere is the spirit. The cube of space, like the Qabbalistic tree of life can be interpreted as the map of the soul’s journey towards unity with the divine. 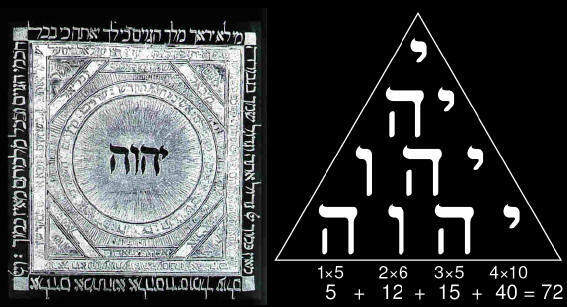 The combination of geometry, sound and numbers that is found within the Sepher Yetzirah is fundamental to Hebrew and Pythagorean traditions and thus the established modern western formula- a prison which popular music seldom if ever is allowed to escape. Sound provokes the mind into investigation, a sensory trigger for the imagination where the thoughts of the individual coalesce. Commonly positioned at the top of church towers, bells are large acoustic resonators coordinated to spell out specific melodic patterns in relation to the time of day. The shape of the church bell represents the egg, the hammer the male phallus, symbolically the moment of inception when the male impregnates the female with new genetic material- the Ring. Monotheistic music is synonymous with the term western music in that they are both forms of solar worship. there are 12 months in a solar year, and 12 notes in a sub-divided octave. The 12 pointed circle may be extended from single tones to form major and minor triads. There are 24 hours in a day divided into day and night thus we see music is directly related to time. As evidenced in a the term time signature. Correlations can be drawn between visual relationships detailed in the colour wheel and auditory harmony quantified in the rule of 5ths. Symbiosis and application of the two disciples came from Hindu sages who used the practices in tandem to manipulate the physical body and thus their immediate environment through meditative thought. Just as a Chakra’s vows are intoned to reveal its landscape so to is its corresponding colour invoked to help facilitate a shift in consciousness. In the west this belief that colour and sound affects human behavior was developed into the discipline of chromo-therapy. It was designs to correct a person’s psychological other-self or Jungian shadow and its authentication relies just as much on Johannes Itten’s seminal work on colour psychology, as it does on a faith in Eastern mysticism.